Being a property surveyor is one of the most diverse and exciting roles within the property market. As a property surveyor you will have the power at your fingertips to help shape, create and design the world around you. Essentially, the work of a property surveyor is to value an asset. This could be anything from a football stadium to a farmhouse, and in some cases even antiques. 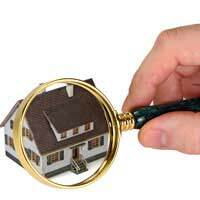 It is not just the job of a surveyor to value properties, but also to assess and help with building projects. A property surveyor is not just one set occupation, there is a whole manor of jobs that you can start your career in. One option is to become a chartered surveyor. If you were a chartered surveyor you may work as a quantity surveyor where it will be your job to work with the developer, supervising costs and overseeing the building projects. It is unlikely that you will go straight into overseeing a project, but will start at the bottom of the food chain and work yourself up. Another option is to work as a building surveyor or a chartered construction surveyor, who instead of working with the developer, works with the contractor. The chartered construction surveyor will need to assess the work that is being done, and its value. They will have to watch over the development throughout its course. A quantity surveyor and a building surveyor can be found anywhere building work is being done, so you could find yourself in the middle of a new residential housing development, or working on a large scale commercial development. It goes without saying that to work in property surveying you need to have a head for maths, as well as good management skills and a talent for recognising a good development opportunity. Working as a surveyor doesn’t always have to mean working for a large corporate giant. You can choose to either use your skills at a private firm or a smaller public one. Normally people are more tempted by the larger nationwide firms, because they can offer the larger wages, and also boast some of the most exciting property developments. There is also great reward to be hard by working at a local firm, and you will be able to see first hand the pleasure a development brings to the local community. Working as a property surveyor can bring a world of opportunity to your doorstep, and you will get to be involved in shaping some exciting and unique building projects. It can be hard work, and long hours, but it is also rewarding at the end of your project to be able to see the masterpiece that has been created. The diversity of the sector means that you will never be stuck in your office at your desk for too long. Being a surveyor has evolved over the years into a more hands on job, with surveyors being on the site a lot more and working closely with contractors and developers. So, if you want to be part of creating something from scratch, and putting your technical skills to use, then a career as a property surveyor may be for you.